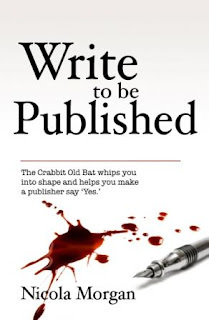 In my absurd desire to pander to your every whim and propel you towards publication at no financial gain to myself, I have written a series of free guidelines for writers, called CRABBIT’S FREE TIPS FOR WRITERS. Remember: I explain and expand on all of this advice elsewhere, elegantly and succinctly in Write to be Published and with gayer abandon here on the blog. Please spread the word about this advice - too many agents and publishers are still receiving crap submissions. They are a bit cross with me that I haven't managed to reach more people. Also, some of them keep sending me examples of eel vomitish submissions and I have had enough. Enough, I say. 1. Never break a rule you don’t understand. When you fully understand it, you can do what the hell you like with it. 2. Here are the main things you must control in a novel (and often in a short story): structure/shape, character and character development, dialogue, point(s) of view, voice, pace, tension/suspense, believability, sentence rhythm, grammar and syntax (which includes punctuation), subject-matter and themes. All should be appropriate to genre. 3. Therefore, know your genre. Read, critically. Note that some genres are more tolerant of certain errors – and less tolerant of others. 4. Think carefully about what a reader needs to know and when. Don’t over-explain. 5. From the start, we need to know: who has the problem, what is the problem and why should we care? 6. Trail hints of future conflict or tension early in the book. 7. Give as little back-story as possible at the beginning. Drip-feed it and only as needed. 8. You do not have to start each scene at the beginning. Leap into the middle and leave before the reader’s had enough. 9. Beware saggy middles. Create an enormous setback in the middle and make us CARE. Spread obstacles judiciously, for greatest impact. 10. Know far more about your characters than you will ever need to say. 11. Manipulate pace by treating chapters like breaths. If you end a chapter at the end of an episode, you finish on out-breath – relaxing, complete. If you end midway through an episode, you finish on in-breath – tense, exciting, desperate for air. Control where your readers rest. 12. If in doubt, leave it out – sub-plot, character, scene, paragraph, sentence, word. 14. Read your work aloud, imagining that your audience consists of appropriately-aged reluctant readers with ADHD. If you hear them fidgeting, delete or rewrite. 15. Read it aloud again, noticing rhythm and clunky sentences. 16. Read it aloud again, this time as though you have a rapt and attentive audience. Listen to the applause: you deserve it. But don’t let it go to your head. Someone didn’t like it but was too polite to say so. Trust me. 17. Of course your mother thinks your book is utterly fabulous. She’s your mother. GOOD LUCK AND WRITE WELL! Brilliant -- what a cool idea! These are being printed out and going up on my wall, and the book's going on my Christmas list. By the way, I think a few people have mentioned comments getting lost by Blogger when they press publish lately. I've had this a couple of times, but they do appear if you refresh the page with the error message. Seriously, I think showing family members is a very bad idea. Short and sharp and so, so right. I look forward to the rest of the series. 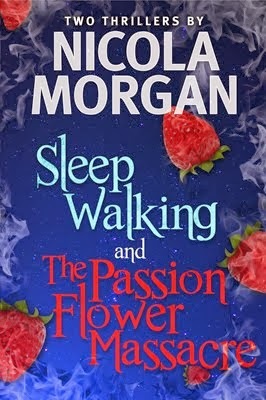 Why doesn't everyone who writes fiction in the hope of being published, read your blog? I've read plenty of eel vomit over the years (and probably wrote a lot too.) But that was BC. (Before Crabbit.) No excuse now. So many common sense points here that get forgotten when one is writing and editing. I'm currently in the process of editing the third and final book in my children's fantasy trilogy, so this advice is timely and hugely useful! BTW, I was praising your name at a Soc of Author's workshop yesterday so you should have some more grateful followers shortly! Can I say "oh yes!" 17 times? You are too good to us! Great tips, yet sometimes easy to forget - so thank you. Fantastic! I agree with Neal, these need to go on my wall. Actually, my mother hates my writing. It take a lot of hard work to impress her. Thanks, everyone. Glad it's helpful. Good list of tips/rules/thingies. Number 17 should be read in conjunction with number 1. Sometimes a family member's comments can be worth having. A supportive and encouraging partner is a treasure. Downloaded and filed and printed ... thanks ever so! Oh Nicola - You are so very very kind! Printing as I type! The only one I disagree with is No. 17. I would never show my mother anything as she's so critical and would tell me it was crap whether it was any good or not! Another brilliant post. And here I have to admit I gave in and bought the book. It truly is full of wisdom. Thanks, Nicola, brilliantly to the point as ever. I'm a bit worried I may have a saggy middle now - need to investigate! On the mothers and number 17 point (which made me laugh out loud), my lovely mother is the biggest fan of my blog... but it doesn't always go for sisters. One of mine read the first chapter of an ms which had just won a (VERY small) competition. Her face crumpled a little as she read (and I just know she was thinking, How on earth did that win?). When she got to the end she simply said, 'Gosh, I didn't think that would be how you'd write at all. Is the kettle on?' I don't think she will be in a rush to read any novel written by me but hopefully the odd non-family member might be, if I ever get that far! Jenny Brown talked to my fiction class yesterday and mentioned your book. From this post alone I'm glad she did! I'm in the throes of NaNoWriMo and it's good to have snippets like this running through my head. I've also told my mother to put your book on my Christmas list. She praises my writing AND buys me books. What a lovely lady. PenchantforPenning - that's lovely! Btw, if you live in or near Edinburgh you might be interested in a Christmas present idea for your mum to give you - the Edinburgh Bookshop is doing a package of my book plus a ticket to a 1.5 hour talk/event from me in January, and the book all prettily wrapped! Oh, and cake, i think.... We are about to start advertising it. It will be £15 for the whole package. Event is Sat Jan 28th, afternoon.